Seen at the recently renovated Brewer Fountain. Almost as if they were posing for you. Were they? 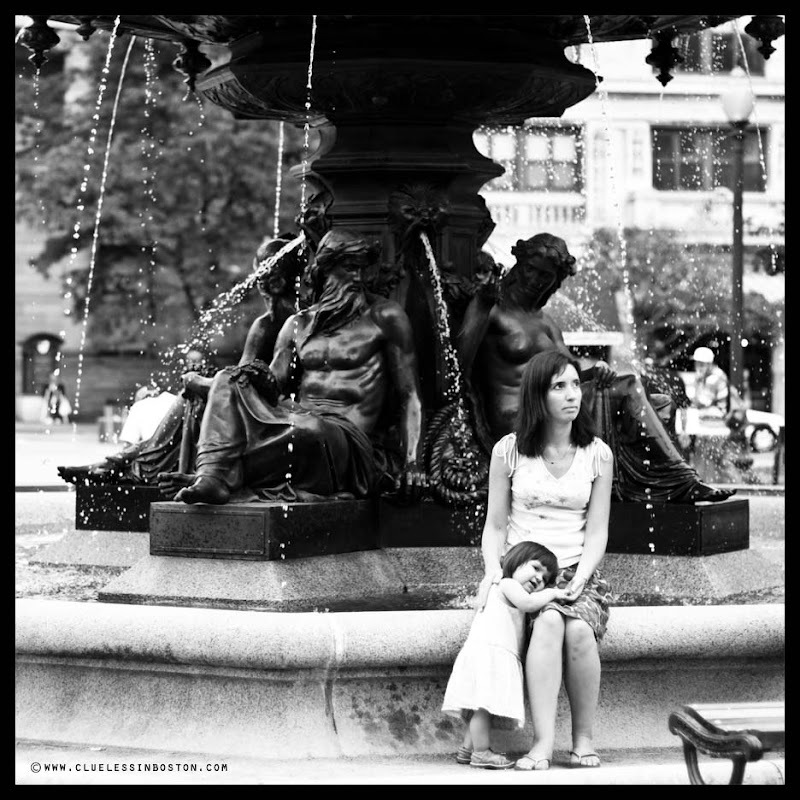 Beautiful fountain , Sweet kid .. Nice captured ! The classic mother and child shot. Very nice... a pensive moment. I like a lot your title and this beautiful mommy and daughter posing for your camera! Good moment in time photo.